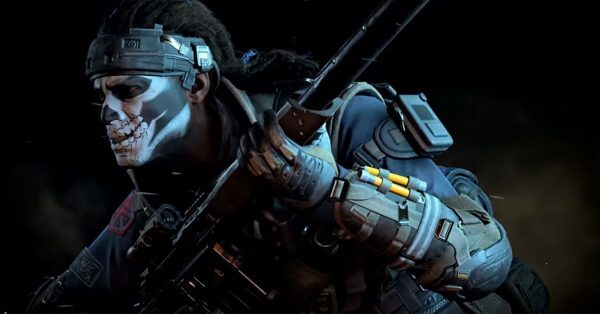 Call of Duty: Black Ops 4 players who enjoy shopping on the Black Market can do so from today on PS4. Players on PC and Xbox One can go shopping seven days later on October 26. For now, only the Contraband stream progression system is available to unlock new content. But all players have to do to earn the items is play the game. Contraband items will be delivered through seasonal Operations, with each Operation delivering a new batch of content every couple of months. Today marks the start of the first season, Operation First Strike. These Operations will rotate every season and offer plenty of gear and items everyone can access such as new Blackout characters, skins, tags, gestures and more. Specialists Outfits – Cool customization content built around themes for all Specialists in-game; you can even mix and match the look of your character within outfit sets. Within the Black Market, limited-time Special Events will provide more unique content to the game. Starting tomorrow, October 20 on PlayStation 4, players will have access to a free Halloween-themed Special Event stream with even more gear. This event will follow seven days later on PC and Xbox One. Tomorrow’s event provides players even more opportunity to progress along the stream. It is the first of many Special Events coming in the future, but be sure to get what you want before each event ends. Furthermore, Blackjack’s Shop will go online in November. This is where players can directly purchase of certain pieces of gear with limited availability. The shop refreshes weekly with a variety of items. And finally, Activision is also selling an in-game pack to support the Call of Duty Endowment which helps unemployed and underemployed veterans in the US and UK find careers. The Call of Duty: Black Ops 4—Call of Duty Endowment Salute Pack is available for all three platforms and features a special Call of Duty Endowment in-game tag, sticker, gesture, calling card, and emblem. It will run you $4.99 and 100% of proceeds go to the Endowment.